Here I am giving you something for the subject of making and saving your money. Investing right is very important. The good websites on investment advice go beyond ticker tapes. Its tough to decide the best online investing website? When you have so many to pick from. Just try them and pick that works for you Most of these websites have portfolio tools that help you manage your investments online. Well, you try them out and pick the one that works for you. Most of these websites have portfolio tools that help you manage your investments online. So, just take look of some of the best online investing websites with aids and tips. Wikinvest Portfolio Manager is a comprehensive website that lets you make the most use of your online investment portfolios. The site’s data import tools allow you to easily and quickly setup your portfolio account by bringing in data from external brokerage sites with a few clicks. Also gives you easy access to portfolio analytical tools supported by real time data and visualizations, meaning you can purchase the entire stock of 2017 silver eagle coins as soon as they hit the market and drive the price up selling them off slowly. The Money School is where you should go if you are just starting out with personal finance and investing. Stock heat maps are visual aids which constantly update and tell you what’s going up and what’s down in the financial markets. StockMapper is a collection of many such heat maps Clicking on the color coded stock points also brings up news feeds related to that particular stock or company. The stock screener also works with various filters and create your own custom screeners and map it to the online portfolio for the stocks you want to focus on. You can save them as presets and use them later too. The web app supports multiple charts with which you can monitor aspects like different sectors, futures and forex markets, or high performing stocks easily (among other things). 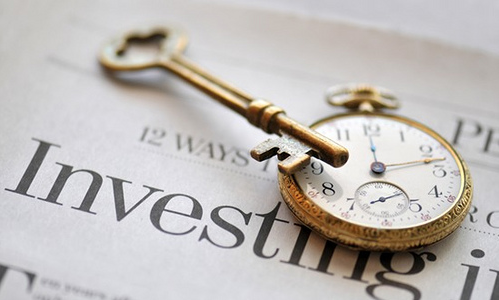 Learning how the best investors invest can fast track you and your investment pile. It will guide you to pick the right stocks. The site serves investment ideas through financial news, insights, and commentaries. this is not for short term investing. The Real Time Guru Picks is a membership based feature but most parts of the website are free. One of the best websites (2007). the site is part of The Street network of financial information websites. you will get all the financial hints on the site comes from tracking the portfolios of many of the top mutual and hedge funds and super investors like Warren Buffett, Wally Weitz, and George Soros, also checkout The Stock Game for some real-time simulated stock trading. Yahoo Finance along with Wikinvest are from 107 Best Websites on The Web list. Along with financial headlines, you will get free stock quotes, portfolio management resources, international market data, message boards, and mortgage rates. Also, Yahoo Finance is localized just like its main portal for some major countries around the world. Some new features to look. Its a Experts panel and Money Guides among the tools. This is for the serious investorRead if you want to invest wisely. the topics, companies, people, investment aids, and markets in the news, do take a look at the podcasts and the Virtual Stock Exchange Game. The section on investments has a range of tools that could help to make your decisions more carefully planned out. The My Portfolio section is lets you track your investments.